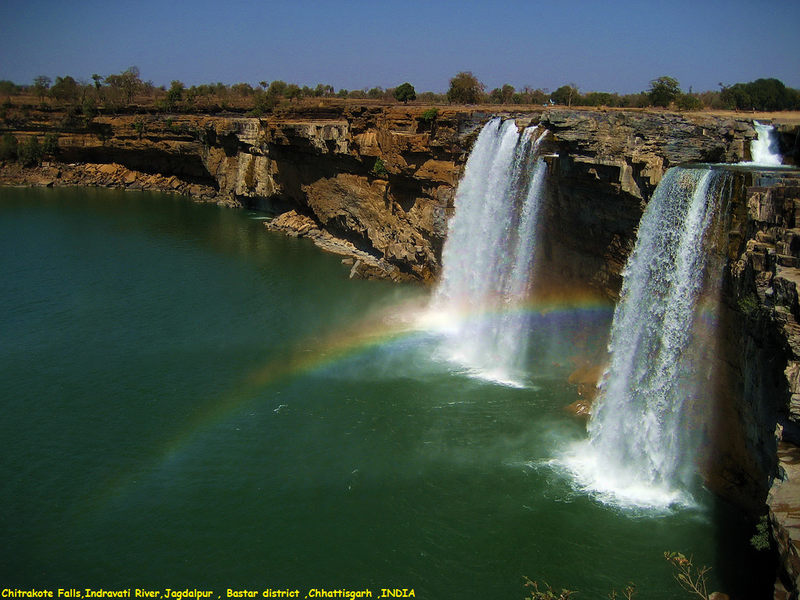 The Chitrakoot Falls is a natural waterfall located to the west of Jagdalpur, in Bastar district in the Indian state of Chhattisgarh on the Indravati River. It is located at a distance of 38 kilometres (24 mi) to the west of Jagdalpur. The height of the falls is about 29 metres (95 ft). It is the widest fall in India. Because of its width and wide spread during the monsoon season, it is often called the Niagara Falls of India. During the rainy season, from July and October, rainbows are created with sun rays reflecting on mist from the waterfall. The weather in the area is generally pleasant except in the summer season when it is hot due to absence of vegetation in the area.